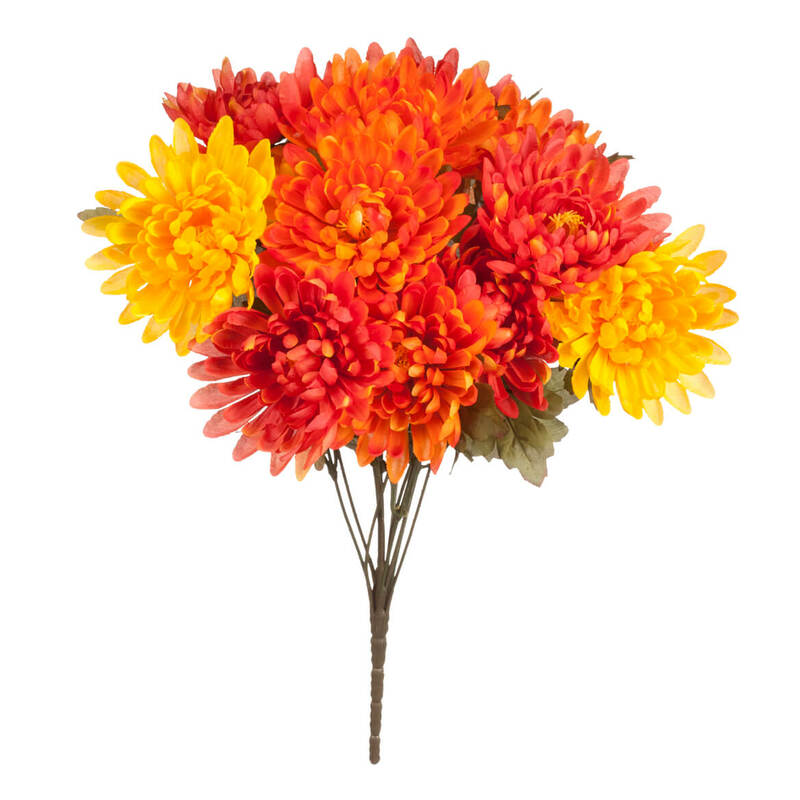 A medley of bright memorial silk flowers welcomes spring, as you honor and remember your loved one. 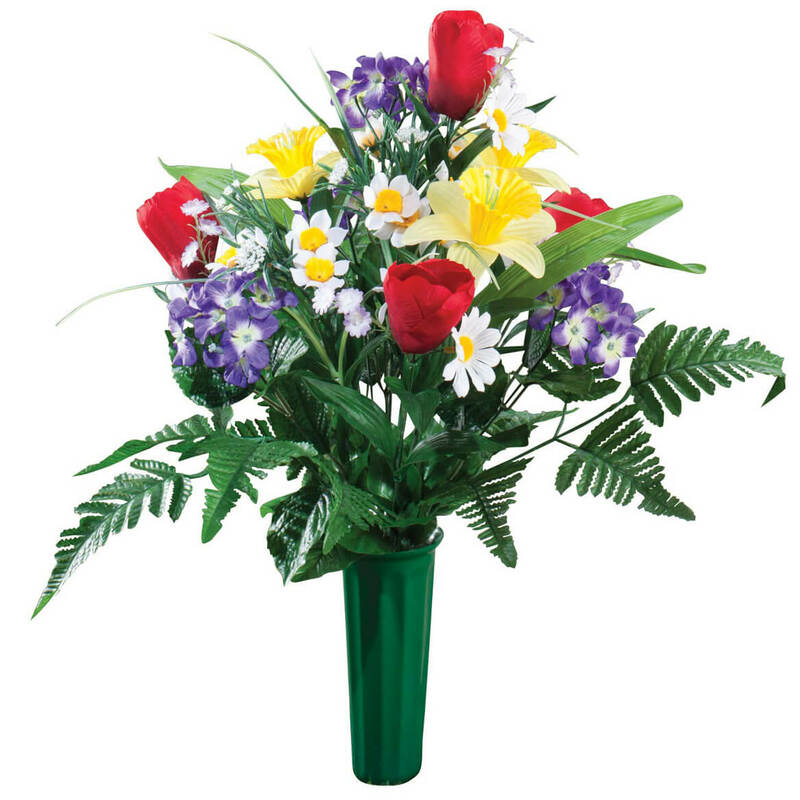 Generous memorial arrangement features lifelike roses, daisies, lilacs and daffodils among lush greenery; includes stake for easy display. Polyester, plastic, Styrofoam. Approx. 23″H. Rivaling nature in every detail, this lush, colorful mini rose bush by Oakridge™ is nearly impossible to distinguish from the real thing—except of course, they’ll never wither! The quality faux flowers offer stunning display in outdoor pots or planters, and look just as lovely in a vase on your coffee table. 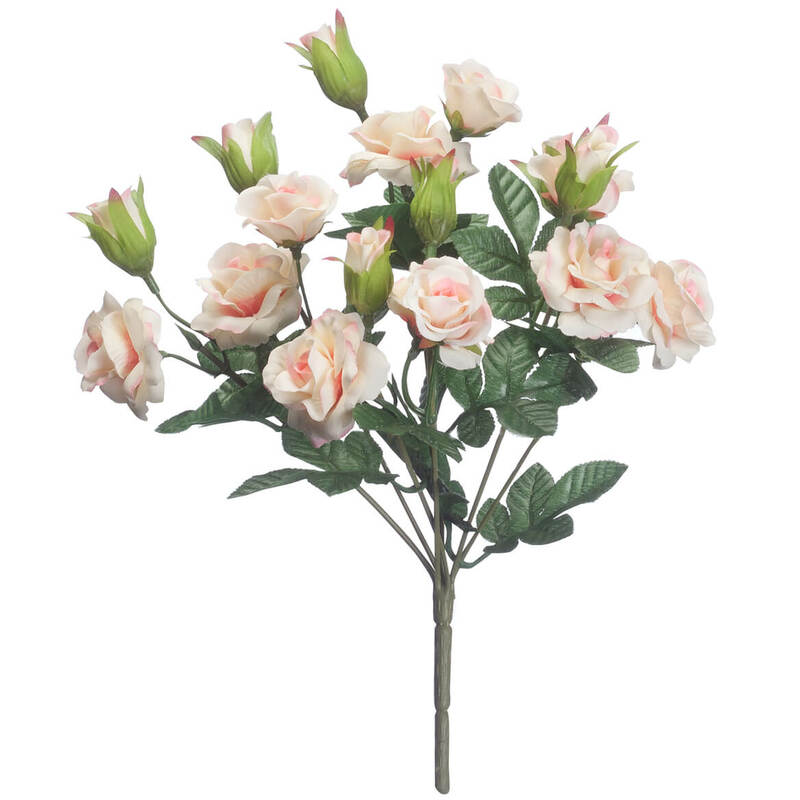 Exclusively designed by Oakridge™, each lush, full artificial plant includes 18 rose flowers and realistic green leaves. No watering to hassle with, and no thorns to worry about; and you can enjoy and re-use the versatile rose bushes year round! Specify color: pink, red or white. Plastic, polyester. 10″ long. Our azalea bush boasts a glorious color and evergreen foliage, and makes a big impact in containers or garden. Polyester, plastic, wire. We’ve shown 2 bushes per pot; pots sold separately. 17″ high. Create instant impact with this lifelike artificial mum bush by OakRidge™ Outdoor! 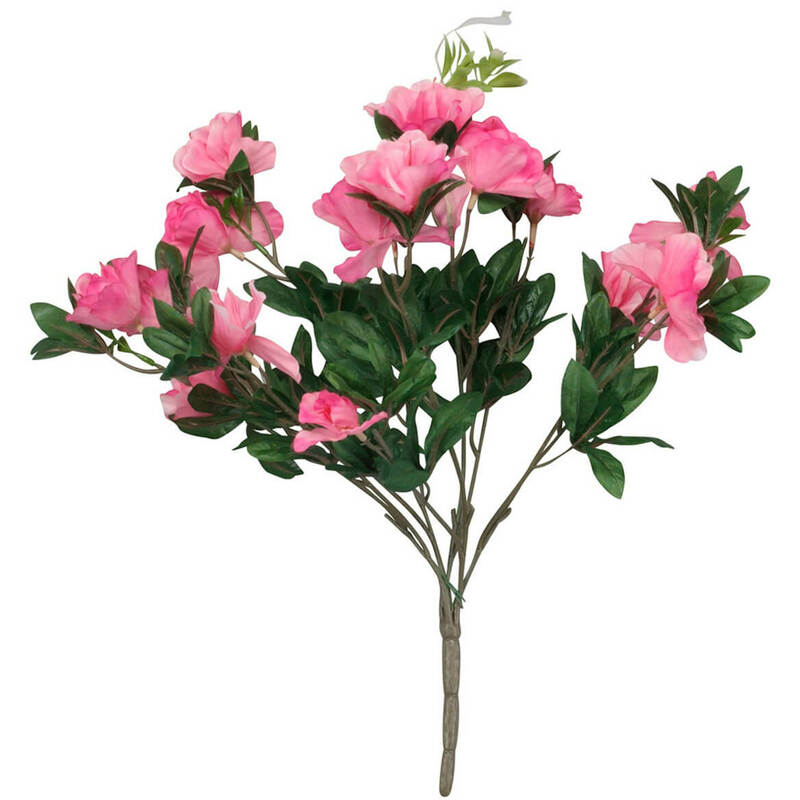 Inspired by nature’s best, each bush includes 10 full, fabulous artificial flowers. Polyester/plastic/iron. 19″ long. We’ve shown 2 bushes per pot; pots not included. 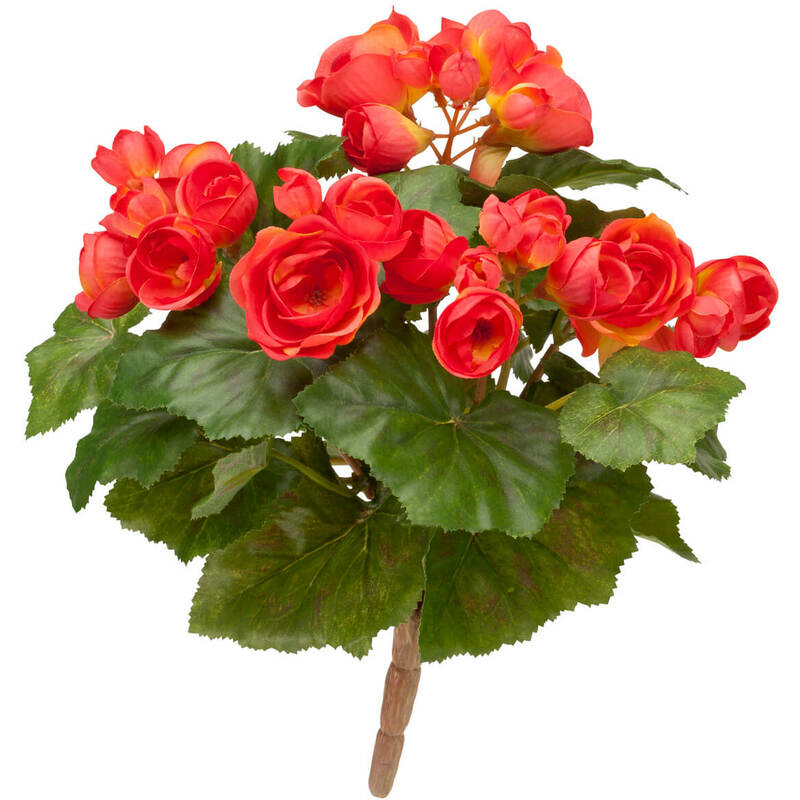 Beautifully blooming in sunshine or shade, this silk begonia bush by OakRidge™ requires no work or watering–ever! 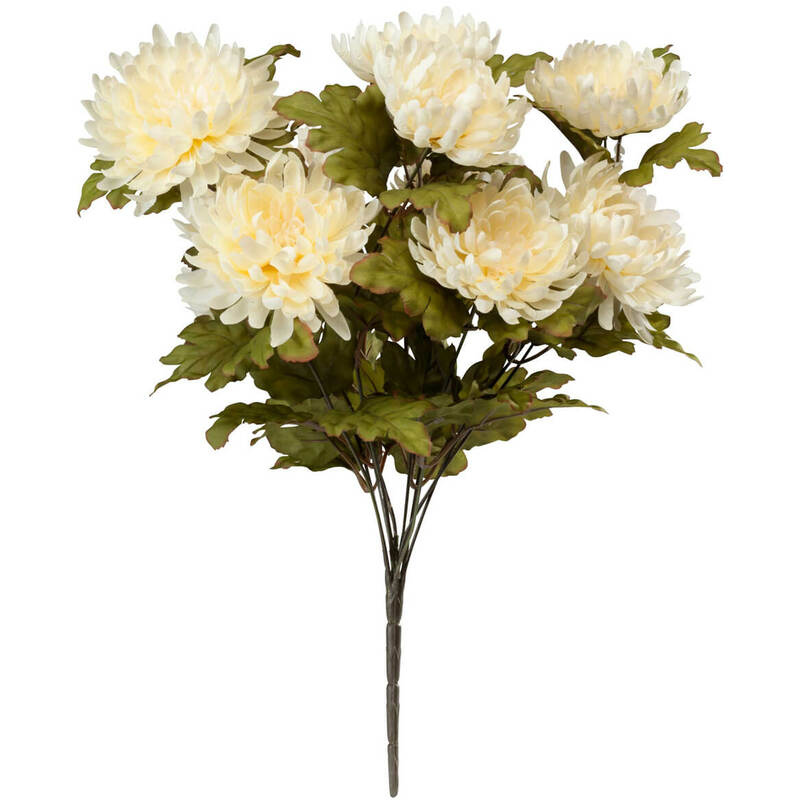 With full, realistic flowers boasting natural color variations, each lifelike faux plant features lush, hearty leaves. (We’ve shown 3 bushes per pot; pot not included.) Polyester, plastic, wire. 10″ long. 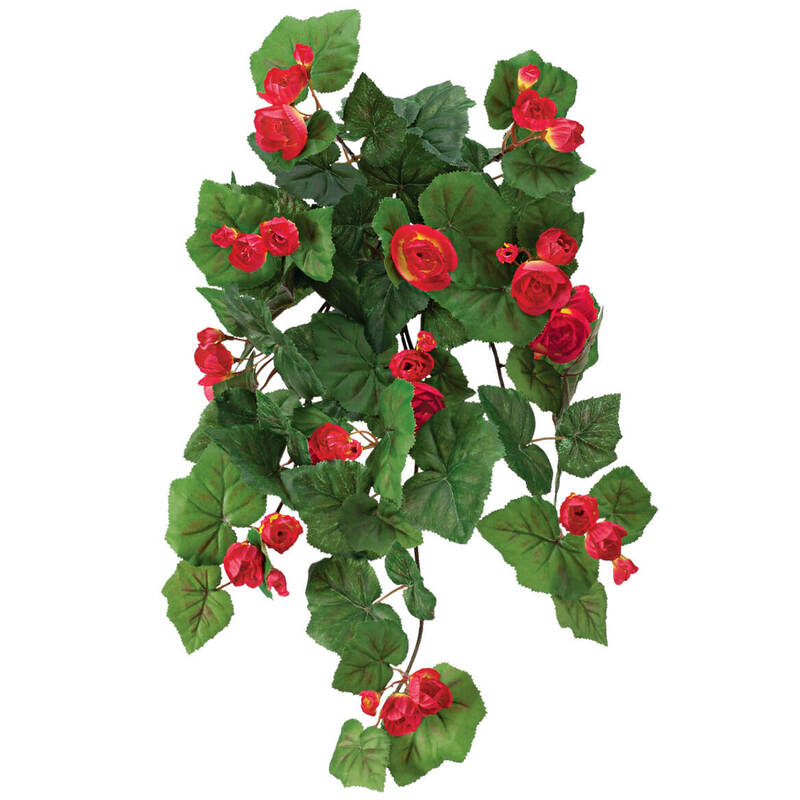 Loaded with full, lifelike flowers and lush, hanging foliage, this Begonia Hanging Stem by OakRidge™ promises lasting beauty without watering or fuss. Specify color. Artificial flowers made with polyester, plastic, wire. Approx. 23″ long. For indoor or outdoor use. Basket Not Included. You don’t need a green thumb to enjoy this Mysterious Air Fern®. Don’t worry about forgetting to water it, the air fern plant never needs water. This unique plant grows only at the bottom of the English channel. After it’s dried, the air fern needs only the moisture in the air to keep it fresh under any condition. 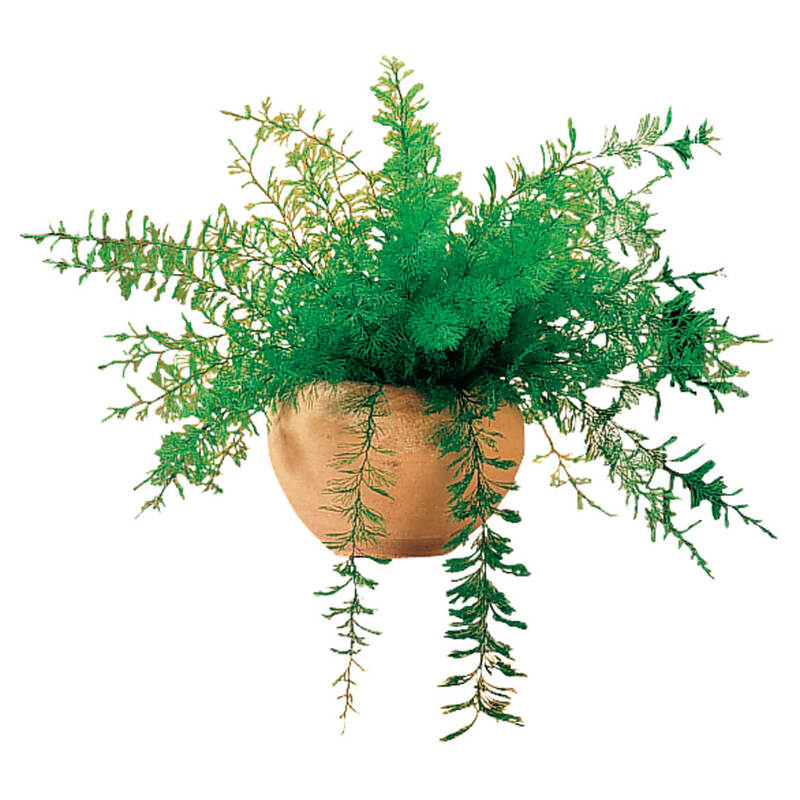 Remove Mysterious Air Fern® from package and place in a vase or pot without soil or water. Indoor use only. Pot/vase not included. 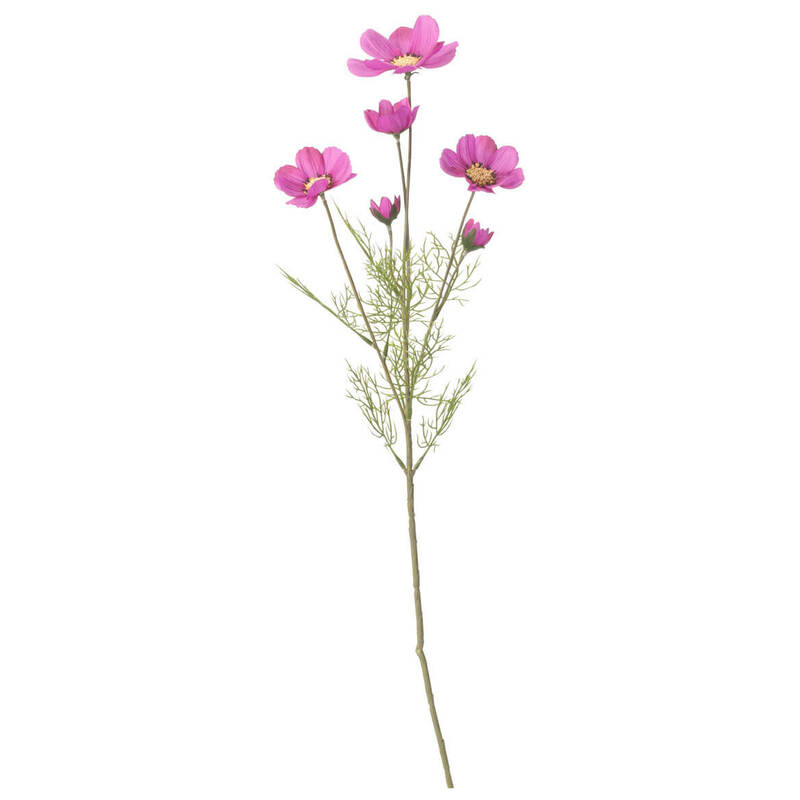 With stunning color, lifelike detail and realistic leaves, our cosmos spray by Oakridge™ can pass for the real thing—and your secret’s safe with us! These timeless faux flowers add a touch of color and beauty to outdoor arrangements, are a great choice for shady spots where real flowers may not thrive, and look gorgeous indoors, too. Exclusively designed by Oakridge™, the authentic looking artificial plants offer maintenance-free beauty for many seasons to come. Specify color: coral, pink or purple. Plastic, polyester. 24″ long. 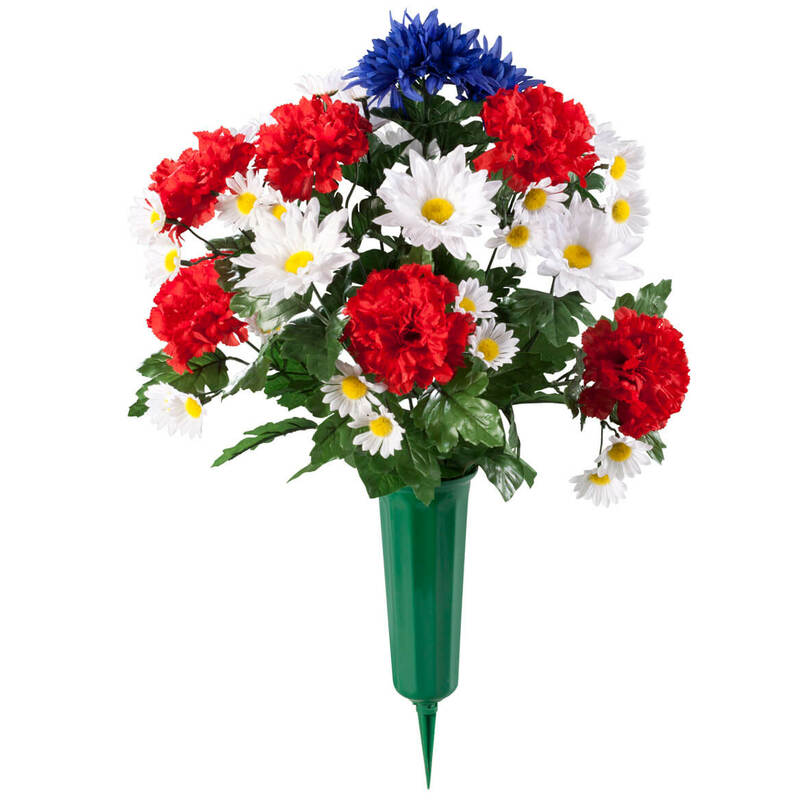 Celebrating one who is always close in heart, our Patriotic Bouquet Memorial by OakRidge™ Outdoor blooms with patriotic brilliance. Features red carnations, white daisies, blue mums and vibrant greens; includes stake. Polyester, plastic, metal. Memorial flowers measure approx. 9″ wide x 21″ high.